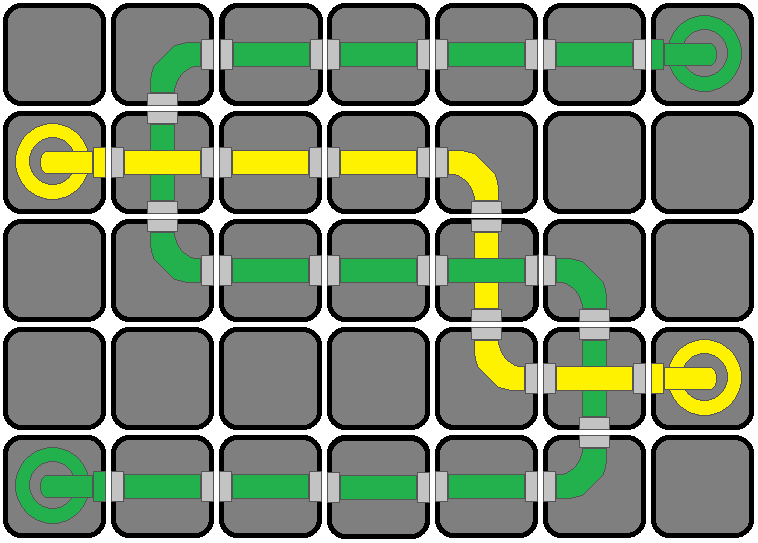 Rules: Rotate the pieces where they are so that the color from one end flows through the pipes to the drain of the same color. 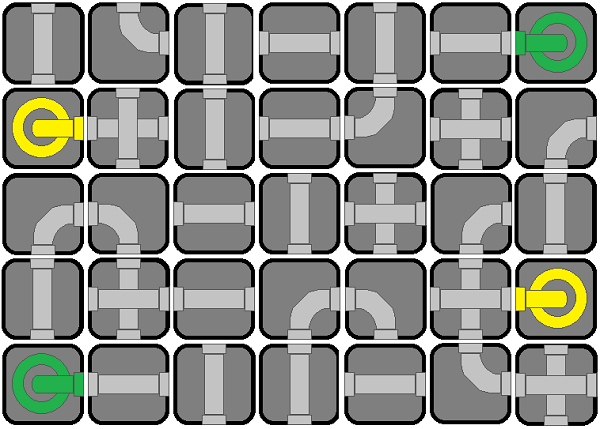 The drains DO NOT rotate, only the pipe pieces rotate. Note: Not all of the pipe pieces will be used! And Prof. Tarma Amelia Black has already turned in the complete puzzle! Shortly followed by: Vanessa Tilley!